Professional Camera Solutions is pleased to announce a new range of micro camera equipment suitable for many applications including medical (hospitals, microscopy), industrial (quality control, inspection), live science (research facilities, laboratories) and broadcast (for example in nature documentaries). 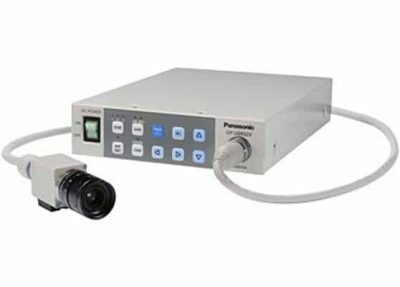 Panasonic has created a flexible range of micro (also called remote head) cameras including the GP-US932X, which can be purchased in full or as individual components in OEM state to suit custom needs. The Panasonic GP-US932X has HD quality in micro format for long distance with; one of the smallest remote 3-chip camera head, digitised video signal, possibility to use different cable lengths with the camera, the ability to use many different video formats; HD/SD/digital/ analogue and outstanding performance thanks to improved sensors, a stunning 1000 TV Lines resolution and increased light sensitivity of 2000lx at F10. Other functions like image rotation and mirroring options, three pre-sets including the colour temperatures, the Panasonic GP-US932X freeze picture, 2.5x electronic zoom, 12-axis colour matrix and frequency-depending detail enhancement makes this camera to a versatile product. With the new Binning Mode the sensitivity can be increased to 2000lx at F11 with almost no reduction in resolution. HD camera cable can be selected from 4 m (13.1 ft.) / 6 m (19.7 ft.) /10 m (32.8 ft.).